CR646- Modern condo for rent at The Escent Chiangmai Close to Central Festival Chiangmai Thailand. 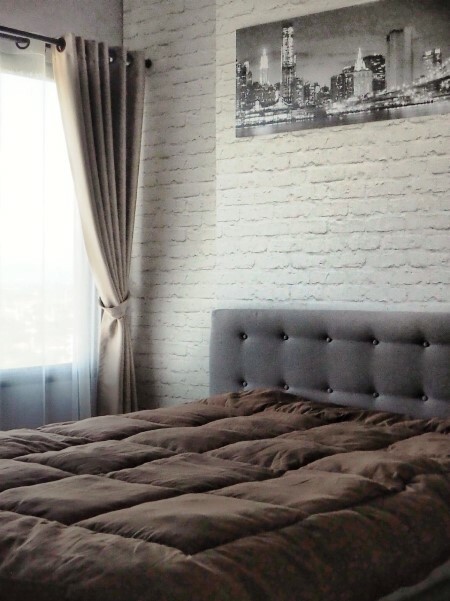 This elegant one bedroom condo to rent comes fully-furnished and equipped, located within a couple of minutes of Central Festival and a short drive to the centre of town, or the Nimman area. ESCENT Chiang Mai are nevertheless sure to command positively breathtaking near 360 degree vistas overlooking the surrounding urban environment and mountainscapes from its glass-panelled wrap-around Sky Lounge set amid tropical greenery or rooftop infinity-edge open-air swimming pool, adjoining sun deck, sauna and fully-equipped fitness amenities. Another facilities include a 24-security and keycard-controlled admittance onto the grounds and into condo buildings. 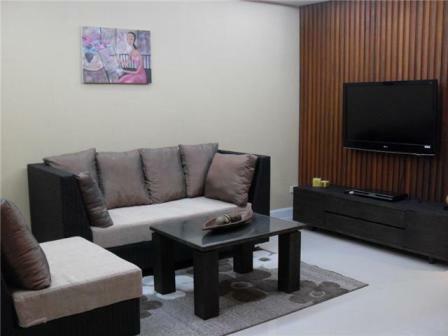 CR648- Beautiful Condo for rent Near by Central Festival in Chiangmai,Thailand. 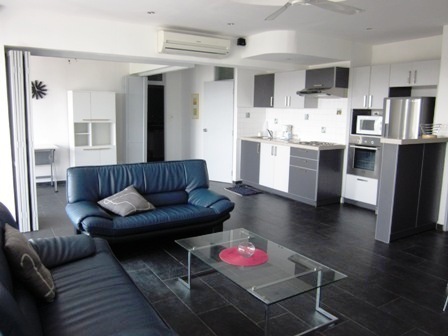 CR258- Condo for rent in Chiangmai Thailand. Condo for rent On Floor 10. 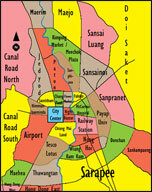 Located between Tesco-Lotus Superhighway and the Ping River, near Talat Khamthiang, at 10th. Floor : a total of 86 sqm. This apartment has a 27 sqm. tropical garden-terrace with table, chairs and two transat chairs, nice view on green gardens and Ping river. Total confort installation. One bedroom apartment, large fully equipped European style kitchen, clean bath room with warm water for shower and sink. Living room with leather sofa, two air-conditionings, refrigerator with top freezer, vinyl windows all with mosquito-nets. Movable satellite dish for TV with more than 200 TV world international channels. DVD player. Warm water washing machine. Computer with Internet ready. Coffee machine, electric kettle, microwave, rice cooker, grill for bread and croissants, vacuum-cleaner, iron with iron table. 24 hours security. The rent is : 14,800 B./month. This condo is for two persons, not more. Lease of one year or more, but not less than one year. More information:Welcome to Chiangmai Lanna House. CR485- Condo for rent in Chiangmai Thailand. 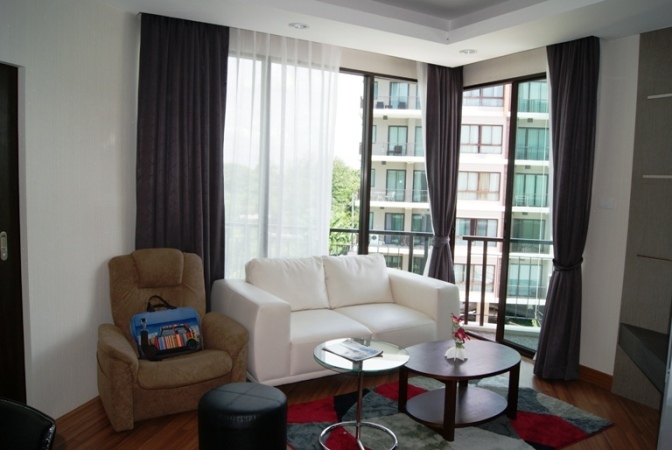 The beautiful condo for rent in Chiangmai . with City view , Close to shopping mall. with 1 Bedroom ,1 Bahtroom ,1 Living room and 1 Kitchen Furnished., Air -conditioned. 24 hour security system. CCTV. Car parking . 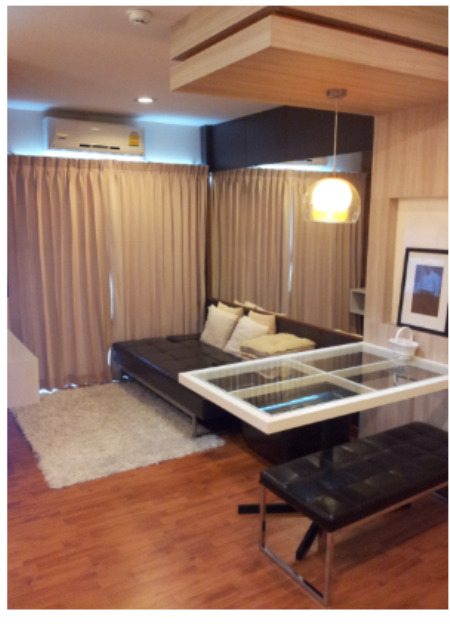 Condo for rent in Chiangmai with Big- simple room and modern Style in the corner of condo. 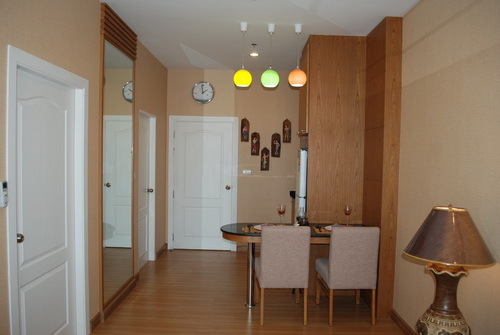 CR321- Condo for rent in Chiangmai Thailand. Fully furnished and new renovation. Granite floors. 50 Tv. DVD player. Full western kitchen with oven. Washer/dryer. Salt water pool. Plenty of car parking space. Next to CMU and 5 minutes walk from Niemmanheimen. 2 floor accessing the car park. 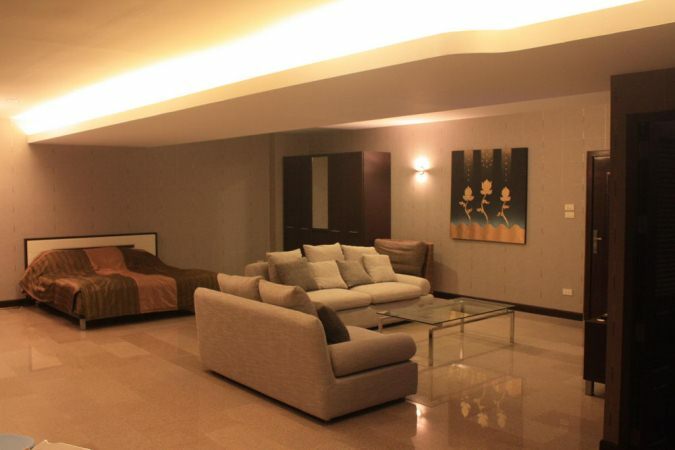 CR622- Condo for rent in Chiangmai Thailand. 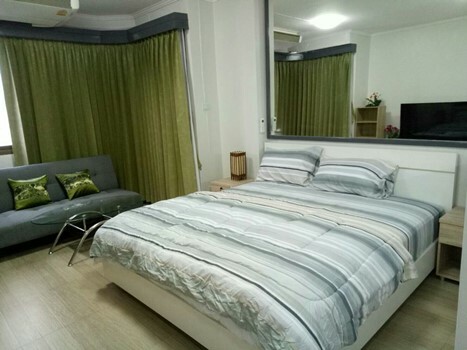 Condo for rent at Nimmanhaemin Road, Mueang, Chiangmai. 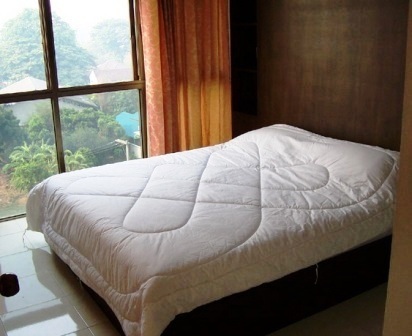 This room comes fully furnished and equipped with air-conditioning, ready to move into. facilities include reception, security, key card access, maid and laundry service upon request and wireless internet access and covered parking. 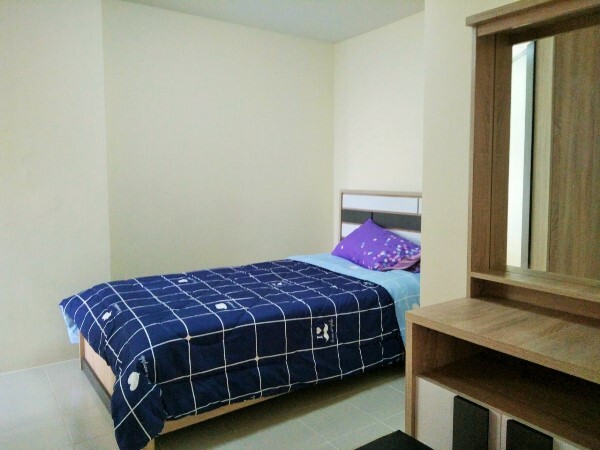 Condo located in Nimmanhaemin Rd, quite literally the heart of Nimman. Within easy walking of numerous cafes, bars, restaurants serving cuisine of all nationalities, small boutique shops as well as the Maya and Kad Suan Kaew shopping malls. Just off Nimmanhaemin Road, this is a great location for easy access to Chiang Mai s fashionable area, easy access to Chiang Mai University, various hospitals and Chiang Mai Old Town. 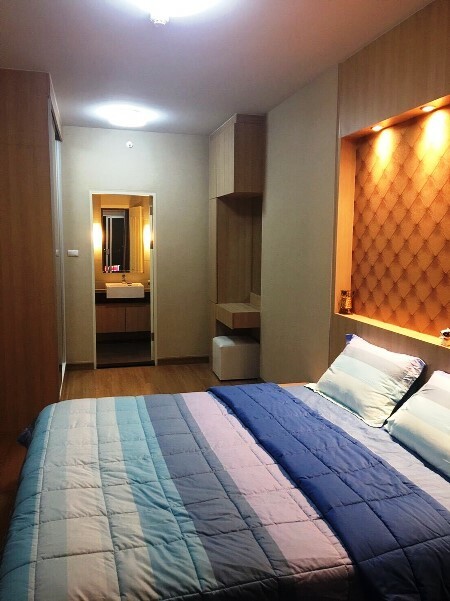 Size : 30 sqm Price for rent : 15,000 THB/Month 1 Bedroom, 1 Bathroom, Fully Furnished , Air- conditioned., Floor 5th, Key card ,Elevator , 24 hour security system ,CCTV ,Car parking with cover , Location Nimman Haemin Rd. 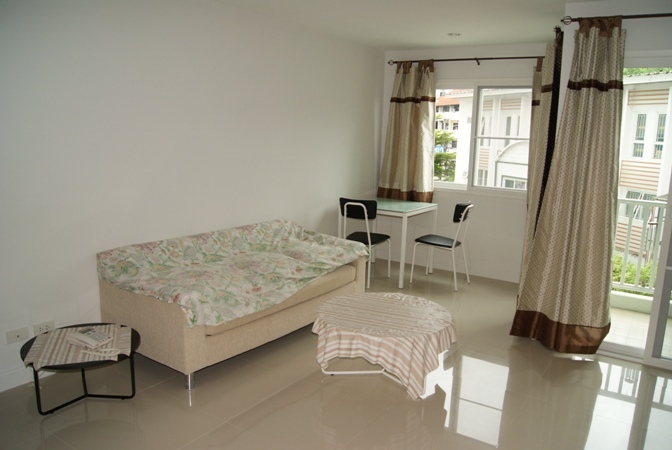 CR182- Condo for rent in Chiangmai Thailand. This is a very beautiful condo unit. 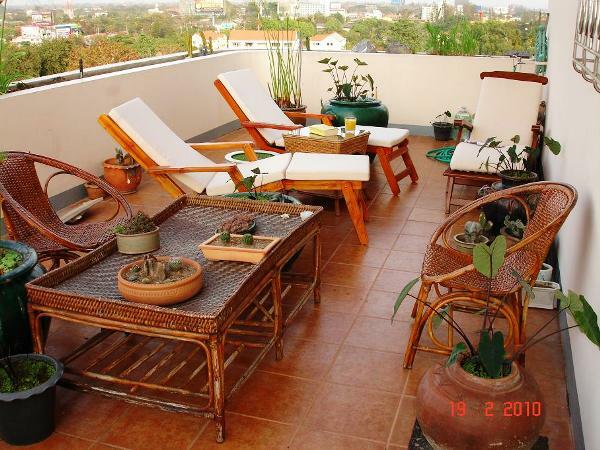 CR184- Condo for rent in Chiangmai Thailand. 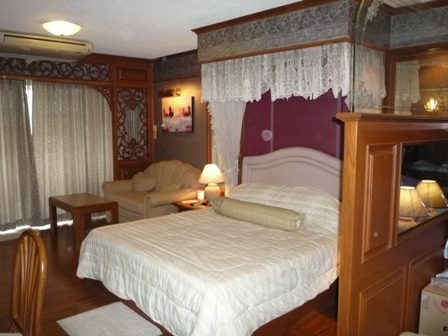 CR189- Condo for rent in Chiangmai Thailand. Rental prices are inclusive of common area charges & free services of the Touch Hill Place Condominium. The free services are included as follow. 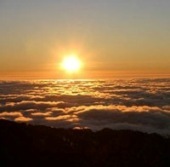 -TV satellite 5 channels - TRUE VISION (Geographic, BBC news. True Movie Hits, True X-Zyte, TNN news). 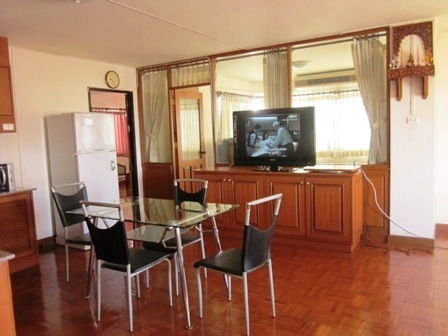 CR640- Condo for rent in Chiangmai Thailand. Fully Key card , Swimming pool, fitness room, Elevator,24 hour security system: Yes CCTV, Car parking, with cover, fully furnished. CR203- Condo for rent in Chiangmai Thailand. 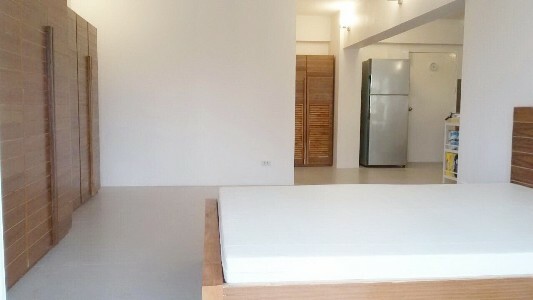 Condo for rent in Chiangmai. XXTV 24-hour guard, finger scan, cable TV, free wifi, 2 lifts,car out more ways.